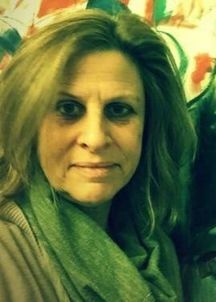 Dianne K. Webb, director, founder, and artistic director of Next Iteration Theater Company (NITC), has spent more than 20 years directing interactive, original, contemporary, and traditional theater in both community and professional venues in Maine and Texas. In 2014, Webb founded NITC and in 2015 partnered with Tayyba Kanwal, then managing director, to produce NITC’s first season. Through NITC, Webb seeks to bring varying aspects of her theater vision to the Houston, national, and international stage. With a focus on underrepresented voices—women, people of color, differing ethnicities, genders, and orientations—Webb and NITC endeavor to produce thought-provoking, relevant theater. Webb’s vision includes combining her interactive theater skills, generative work ethic, and ensemble vision together with a troupe of Houston theater artists to produce derived work, contemporary playwrights, and new iterations of well-known works. Webb has worked independently in Houston as a director for Shunya Theatre and Stark Naked Theater, and as a co-producer and director of the New Play Reading Series for Queensbury Theater. She has also served as director and artistic director for SHOTT, an interactive theater company in Maine. Webb earned an MFA from Lesley University and participated in workshop training with Carol Linklater in voice work at Northeastern University and with Tony Montanaro at The Barn in Maine. Once inside the house Harold followed Mrs. Sewell and the scent of cooking apples to the warm kitchen. He hesitated in the doorway. Steaming hot, upside-down jars of apple filling covered the counter, bushel baskets of apples ready to be cored and peeled lined the floor, pots simmered and bubbled on the black stove. He watched the drips of apple juice, thick and pale, fall from the cheesecloth into a ceramic bowl. Apple jelly, he recognized, and ran his tongue absently over his lips. Gracie yanked his hair and jolted him back to his purpose. He wiped his sleeve under his nose again and closed his eyes just for the briefest moment. Then he moved to the plain pine table, laden with a wooden bowl covered in apple peels, a paring knife, and slices of apple barely browning around the edges. “Set your sister down and pull up a chair while I give this apple butter a stir.” Mrs. Sewell’s voice steadied him in the kitchen, her kitchen. Harold placed Gracie in a high chair and sat in front of the fruit. He eyed the knife, then picked it up. He angled the sharp blade close under the skin of a juicy, red Northern Spy. Though he failed to peel the skin off in one piece, he scooped up the longest sliver and slipped it around Gracie’s neck, like a necklace. He smiled and caught up another apple.